Home > News & Blogs > Medical Negligence > Who are Coroners, and what do they do? Who are Coroners, and what do they do? What is the role of a coroner? A coroner is an official appointed by the Government to investigate deaths where there are concerns about the circumstances in which they died. Coroners have been involved in the British justice system in one form or another since 1194, and their role has largely been the same – to investigate unnatural, sudden or violent deaths, and where the cause of a death is unknown. 223,841 deaths were reported to coroners in 2014, with 25,889 inquests taking place over 104 courts in 2014, meaning that each coroner oversees on average 249 inquests throughout the year. In reality these are not evenly spread. Some courts, for example those in London and other cities, have many more inquests to investigate and manage, and are often very busy. A coroner has either legal or medical qualifications, with 5 years experience in either field. They are usually qualified as a lawyer or a doctor. This means that they will either have very good legal or medical knowledge, which they can call upon to help with any relevant issues during an inquest. They may have experience in both fields. 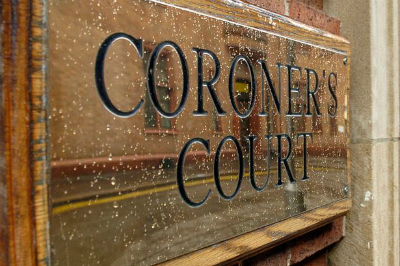 There are 104 coroners in England and Wales, with assistant coroners providing support at busy coroner’s courts. Coroner’s courts are based regionally around the country. They are managed by the local government. Coroners are not judges in the same sense as other areas of the justice system, as there are not the same tiers of seniority or levels of appeal and higher courts. They are appointed by the Chief Coroner and employed by the government to investigate deaths that occur within their regional authority. All Coroners are managed by the Chief Coroner, who is currently HHJ Peter Thornton QC. It is the Chief Coroner’s job to manage the coroners, and he is responsible for the standard of coroners and inquests in England and Wales. The Chief Coroner ensures that inquests are dealt with as soon as possible after a person’s death. He also deals with complaints brought against coroners. If they are medically qualified, the coroner will have an expert understanding about the medical issues that may have caused the death of the deceased. This often leads to detailed and sometimes technical conversations taking place between the coroner and medical witnesses when they are giving evidence in an inquest hearing. In my experience, many families can find this very difficult as it can seem cold and analytical. This can be distressing at a time when they have recently lost their loved one and are simply trying to understand what has happened. The coroner should take the time to explain the need for this to the family. No disrespect is intended, it is simply that the coroner has a duty to be as exact as possible when considering the circumstances of their relative’s death. In order to do this, they must go into detail about the medical issues. Having a solicitor with experience of medical negligence claims representing a family at an inquest provides the family with expert guidance and support. They will also be able to advise you on how the inquest process works alongside an investigation into a claim for compensation. I have an inquest, do I have to contact the Coroner? An inquest investigation is opened after the death has been reported to the coroner, and they consider that there are questions about how, when and where the person came to their death. If this happens following the death of a family member, your main contact with the coroner’s office will be with one of the coroner’s officers. These are staff who work with the coroner, and help with the day-to-day management of an inquest and investigation. They will be the people to speak to about when the inquest hearing date is set for. They will also obtain documents such as medical records and witness statements from members of staff as part of their investigation, and may be able to send these to you in advance. They may also ask you to provide a witness statement to them. They will contact you after an investigation opens, and will keep you updated. If you have a solicitor acting for you, they will speak to the coroner’s office on your behalf to ask about what information is needed, and the steps that need to take place. The coroner manages the inquest, from the initial decision on whether a death needs to be investigated, to leading the inquest hearing in court. Once the death has been reported to the coroner, they will review the facts and decide whether an investigation is needed. As part of this process, they may order that a post-mortem is necessary. This can be upsetting for the family, who should be involved in the discussion about why the coroner feels it is required. The coroner will also be responsible for finding out if there is anyone else who should be involved in the inquest process, such as police officers, members of hospital staff, community care specialists, as some examples. These people or organisations are called ‘interested persons’, which includes family members. They need to gather and obtain any documents that will help them in the investigation, contact people to ask them to provide witness statements and arrange for witnesses to attend the inquest hearing. The coroner’s officers will carry out the majority of this work on the coroner’s behalf. The coroner will be in the charge of the inquest. This will most likely be the first time that you meet the coroner. They will act in a similar role to a judge during the inquest hearing, and will listen to the evidence given. There may also be a jury present. If there is a jury, they may direct them about what conclusions they are able to reach. If there is no jury, then the coroner will consider for himself how the person died and make findings about this. The coroner can also decide to prepare a ‘Prevention of Future Deaths Report’. This would be appropriate when the way in which the person died indicates a continuing risk that could be averted by a change in practice. If the coroner decides to create such a report, they will submit this to the chief coroner and the organisation who was responsible for the deceased’s care. If this is an NHS Trust for example, the coroner will require that the Trust undertake steps to ensure any concerns are rectified and any errors in the care provided are improved. This may be through staff recruitment, additional training, inception of new working policies, and so on. They will then require the Trust to report back to them and the chief coroner about what steps have been taken. The coroner will set a timescale for responding to the prevention of future deaths report. The coroner is independent of any of the people involved in the inquest, and will consider their decision in an impartial way. Do I have to speak at the inquest hearing? During the hearing, the coroner may ask someone from the family to talk about their relative who has died and provide some background information at the beginning of the inquest. The coroner will ask them some questions about this and what has happened. If the family don’t have a solicitor, they will then be able to ask any of the witnesses questions during the inquest, and to raise any concerns with the coroner. This can be very traumatic, as family members may be asking questions to the medical team who they suspect provided their loved one with substandard care. Should you have a solicitor representing you, they will ask questions on your behalf. They will also raise any queries that the family have with the coroner, and make sure that the family are as involved as possible. We are able to support families throughout the inquest process where there are concerns with the medical treatment provided and we are investigating a negligence claim. I am a Senior Solicitor at Bolt Burdon Kemp specialising in Medical Negligence claims. If you are concerned that your doctor or nurse has not provided you or a loved one with a reasonable standard of treatment and would like to discuss a claim for compensation, please contact me, free of charge and in confidence, on 0207 288 4820 or at HannahTravis@boltburdonkemp.co.uk for specialist legal advice. Alternatively, you can complete this form and one of the solicitors in the Medical Negligence team will contact you. You can find out more about the team. Can the NHS ever avoid a Winter Crisis?